January to May is huge here on the South Coast. Christmas and the school holidays is followed by various festivals and Australia Day holiday, then Easter when we have a big influx of people with holiday houses & visitors, then there’s the Oyster Festival in Narooma and the River of Art in May with many art related activities. This all happens because the weather is usually fantastic and the water temperature is warm & swimmable. Artisans Nest news is that we have some new members and we have reluctantly given up the rooms at the back of the Gallery which we were trying out as a workshop space. Too many of our members, though happily capable of running workshops, prefer to spend more time creating works for the Gallery, which you can see when you visit. The Dairy Shed next door has renovated and now sells delicious icecream & they have created a new path which goes right past our door. We the members of Artisans nest have decided to concentrate on the production of our art & have more exhibitions. Our first, in line with the River of Art this year (17th -20th May), will be Revamping the Blues. Make a point of visiting the shop & checking it out! This entry was posted in News on February 26, 2018 by susangai. The members at Artisans Nest Bodalla are having a huge garage sale to sell off everyone’s excess art and craft materials. This entry was posted in News on November 30, 2016 by susangai. 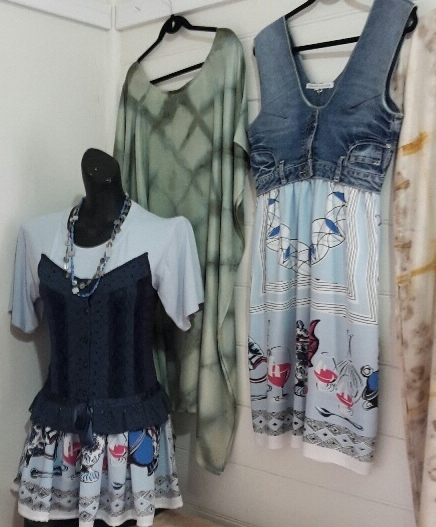 Textile art involving surface design, hand-printing and painting, dying and plant dyeing onto silk and natural fabrics. Deborah Mandira is a textile artist who lives and works near Narooma on the south coast of NSW. 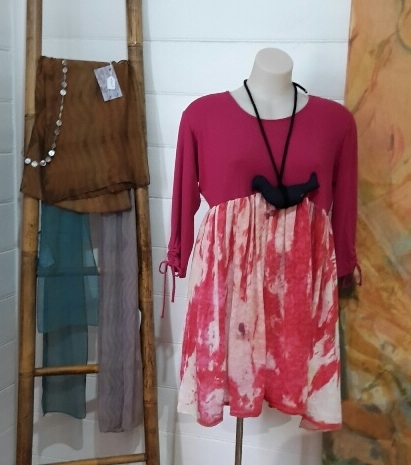 She is a founding member of Artisans Nest Bodalla. This entry was posted in News on October 24, 2016 by susangai. Friday mornings have come alive at Artisans Nest once more. The Gallery began its Friday morning social gatherings again on 5 August, with Jane Frost leading a merry group in exploring stitch, dyeing and swapping ideas in the workshop room at Artisans Nest, Princes Highway, Bodalla, 10am – 12.30. 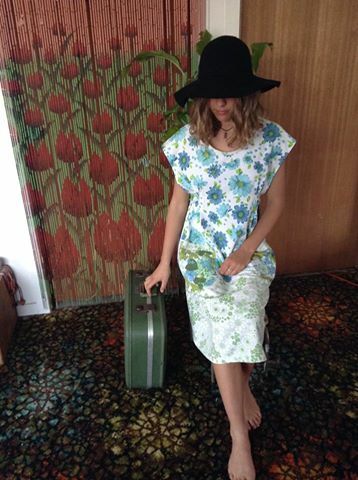 Last Friday, 19 August, the group went on an op shop crawl. They met in Moruya at 8.30AM to organise car pooling and drove to Ulladulla to check out op shops and have lunch. This week, Friday 26 August, the group will meet at the Nest to explore embellishment and enhancement of these items from the op-shop adventure (or bring some from home). Bring a sewing kit too if you have one. Other activities enjoyed so far have included sewing resists ie using stitch to concentrate fabric to resist the dye, and using wax as a resist, both drawing and using stencils. Cost is $5 plus $5 for materials (where required), morning tea provided. Come along and bring your friends. Join the fun, have a chat, and finish your creative projects in the company of like-minded people, or take part in the more structured activities. September program to be announced soon. This entry was posted in News on August 25, 2016 by susangai.